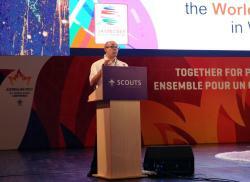 The 42nd World Scout Conference and the 14th World Scout Youth Forum will be held in Egypt in 2020. 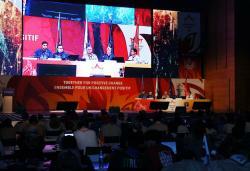 The decision was made at the last session of the 41st World Scout Conference in Baku on August 18. Another candidate for hosting the 42nd World Scout Conference and the 14th World Scout Youth Forum was Malaysia, Azertac reported. Baku hosted delegations of 167 National Scout Organizations visiting the country for the World Scouting’s ‘general assembly’, the World Scout Conference, on August 14-18. 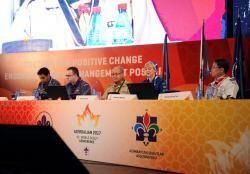 The event brought together delegations of 167 National Scout Organizations (NSOs) across the Scout Movement’s Africa, Arab, Asia-Pacific, Eurasia, European and Interamerican Scout Regions. 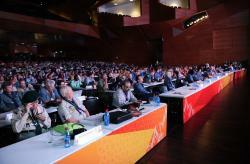 The Conference also witnessed a record number of young delegates, who attended the 13th World Scout Youth Forum in Gabala. Founded by Lord Baden-Powell in 1907, WOSM is a confederation of National Scout Organizations in a network of over 40 million Scouts in at least 224 countries and territories worldwide.